Summertime is lawn mowing season, and with it comes the inevitable increase in injuries to children from these machines. Despite the number of safety features designed into modern lawnmowers over the last few decades, an estimated 13 children a day receive emergency treatment for a lawn mower-related injury. A study by the Center for Injury Research and Policy at Nationwide Children’s Hospital shows lawnmower injuries to children have declined during this decade. That's the good news. But the authors suggest there is still a lot of room for improvement, with nearly 5,000 injuries a year. Cuts to hands and fingers are the most common injury, followed by burns from touching the engine. Most injured children were treated and released, but more than 8% of the cases were serious enough to require hospitalization. The study found that the safest place to be is operating the mower. Operators were four times less likely to be injured than bystanders or passengers on a riding mower. No one besides the operator should be on a riding lawnmower, by the way. The authors suggest more safety features offer the best hope for reducing accidents further. Shields can prevent hands and feet from getting under the mower deck. Equipping every riding lawnmower with a no-mow-in-reverse mechanism would eliminate back-over accidents, they say. Current industry voluntary standards address some but not all of these safety measures, the authors write. The authors of the report also point to steps operators can take to reduce accidents through human error. They say children should be at least 12 before they are permitted to operate a push or walk-behind mower. They should be at least 16 before they operate a riding mower. 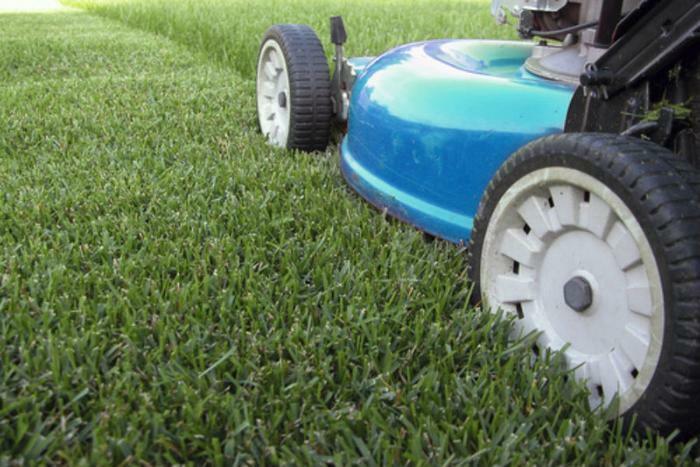 Children age six or younger need to stay indoors while the lawn is being mowed, and they should never play close to where a mower is being operated. Inspect the lawn before you start mowing. Pick up any rocks, sticks, or other debris that might become a projectile if hit by spinning lawn mower blades. “While we are happy to see that the number of lawn mower-related injuries has declined over the years, it is important for families to realize that these injuries still occur frequently during warm weather months,” said Dr. Gary Smith, the senior author of the study. He praised manufacturers that have added significant safety features in recent years, but said he would like to see additional improvements on all mowers.